Huawei held a talent engagement event “DigitALL Night” in Rome. In this event Huawei invited university students from Europe to visit the exhibition hall and participated in the discussion on future technologies such as AI, 5G, IOT, and the trend of talent development etc. 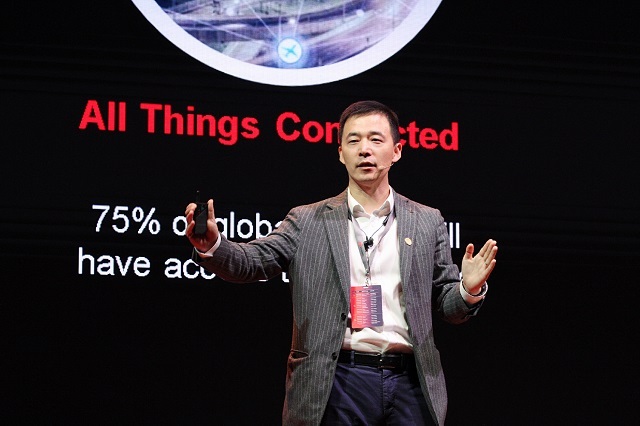 Meanwhile, Wells Li, HRVP for Huawei Western European Region, officially announced the company’s Employee Value Proposition (EVP) for Western Europe - Passion Unlocks Potential – and also explained about Huawei’s DigitALL Explorer Program. “Huawei has been in Europe for 18 years and is growing to be a leader in the ICT industry and one of the Top 2 smartphone producers. However，this is just the beginning.” said Wells. In the future, Huawei will continue to take root in Europe, and dedicate to bring digital to every person, home and organization for a fully connected, intelligent world. “Talent is the key to our future development, key to innovation. Huawei is committed to further enhance the long-term development of our talents.” said Wells. In the upcoming three years, Huawei will develop 3000 elite talents in Europe through the “DigitALL Explorer Program”, including the Seeds for the Future Program, Internship Program, and the Fresh Graduate Program. 1000 outstanding young talents will be selected from universities to join the Seeds for the Future Program to have an international exchanges and to visit China. 1000 interns will go to Huawei for in-depth study and business practice. In addition, 1000 fresh graduates will be admitted to Huawei, to grow into a strategic new force for the company’s future development in Europe.